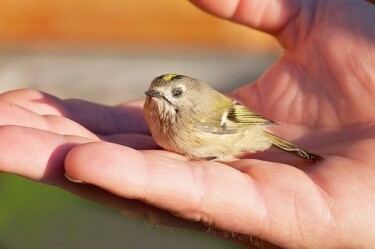 ‘A bird in the hand is worth two in the bush’. ‘Don’t count your chickens until they’re hatched’. Where did all this fowl language come from? Any Advisor who has been working hard to build a practice has discovered that it’s far more challenging and expensive to win a new client than it is to gain more business from an existing client. Still, getting greater share of wallet isn’t a slam-dunk. How often have you made a round of calls inviting your clients in for an annual review? What percentage of them even bother to return your message? Why do you think that is? Let’s face it. For most people, making time for an annual financial review ranks for enjoyment right up there with re-grouting the bathroom tiles. In order to get more clients in the door, change the appointment from a dreaded chore into a good news opportunity. Choose the Good News. There may be many serious topics to discuss during the appointment, and certainly, if there is an imminent risk in the portfolio, you should mention that in your call or message. But wherever possible, to motivate a client to make the time to see you, they need a good – and positive – reason! Wouldn’t you? Out of the list of opportunities you’ve uncovered, choose the two most compelling items and communicate those in your call. Ms. Jones, I’ve been reviewing your portfolio and I’ve identified an opportunity to significantly reduce your tax bill next year, potentially saving you $10,000 or more. Also, last time you were in, you mentioned an interest in critical illness coverage. I’ve found a way to restructure a couple of things and get you that additional coverage for almost no increase in your monthly premiums. I’ve got time in my schedule this Thursday or next Tuesday. Let me know which is best for you. Ms. Jones, it’s John from abc company. I’m calling to book your annual financial review. Please get back to me. Which one would get you off the couch?